Ever wanted to write a book? Somebody probably recommended you write a book proposal. They are great, but they take a long time to write. 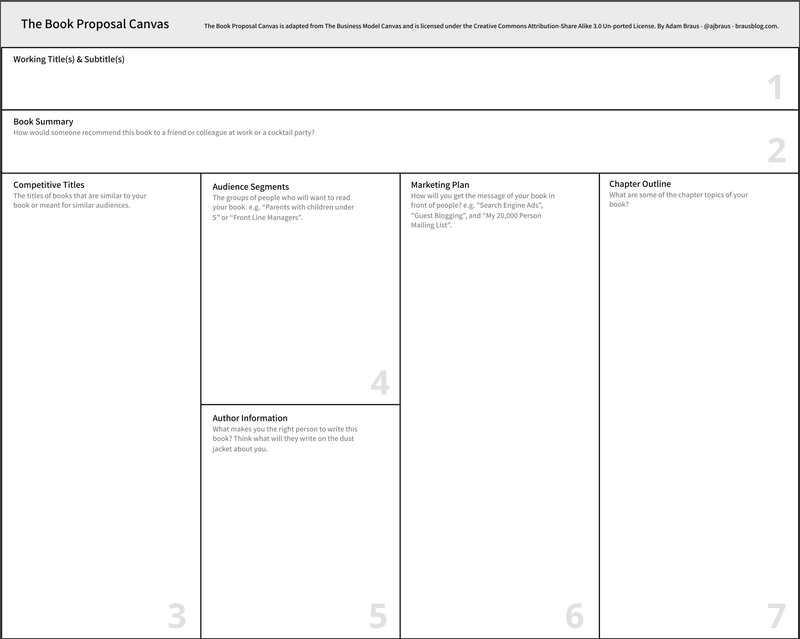 I decided we could do that faster with a canvas similar to the lean business model canvas. So I made it and provide it for free here for y’all. In return, I only ask that you cite me Adam Braus (brausblog.com) when you use this, and read some of my other blog posts about scientifically motivating learners, cash-based welfare systems, and other neat ideas. You can also follow me on medium and twitter: @ajbraus.